One day I watched as a student who was experiencing severe emotional distress in the school hallway immediately calmed down when he was brought to the Lab, where he became curious about the Lab’s equipment and wanted to tinker with it, using it as an emotional outlet. Project-based learning. In a corner of Pennsylvania’s Appalachian region, an alternative education system serving at-risk and special needs students is taking an innovative approach to preparing them for a future in the workforce. 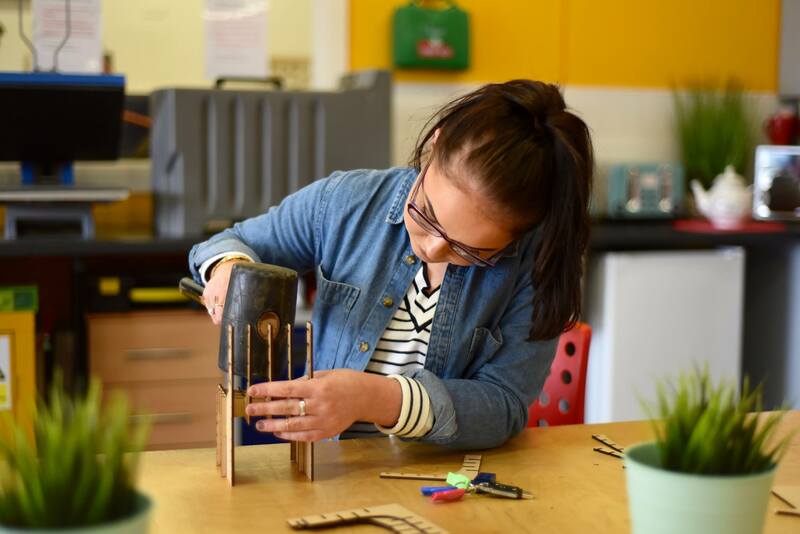 Intermediate Unit 1 in Coal Center, Pennsylvania, has embraced the full power of project-based learning, a teaching method that most mainstream schools have yet to adopt — which has set our nation behind the curve. As a recent LinkedIn study shows, soft skills are the top priority for businesses training talent in 2018, but we shouldn’t rely only on workplaces to teach those skills. Personalized, experiential projects in school classrooms enable students to investigate and respond to real and complicated questions and challenges, setting them up for success starting on Day 1 of their first job. Veteran educators such as myself have seen this firsthand. And it’s becoming clear all educational settings — mainstream, vocational and alternative schools, as well as in English, drama and math classes — need to adopt this approach. My experience comes from having transitioned to Pennsylvania’s alternative school system, where we hosted a pilot fabrication lab (Fab Lab), a hands-on learning center featuring high-tech STEM resources. In partnership with Chevron and the Fab Foundation, we built a campus lab to explore the effects of experiential learning on the system’s highly concentrated at-risk and special needs population. Serving students from all walks of life, with educational and support needs ranging from special and alternative education and mental health programming to comprehensive therapeutic emotional and autism support, the Fab Lab is now a part of the required curriculum.